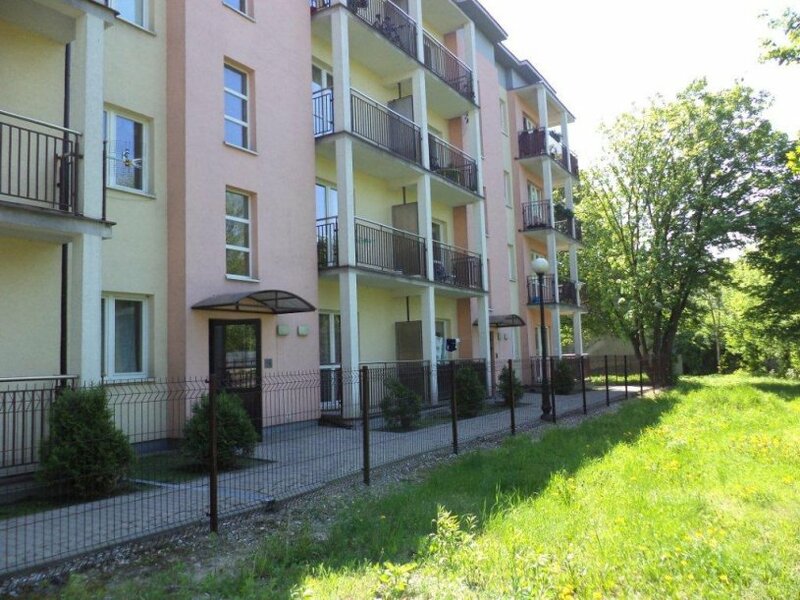 For rent spacious apartment located on the fourth floor of a new (2008) building in Łódź Bałuty. The apartment consists of a living room, large, fully equipped kitchen, two bedrooms, bathroom and a hall. It is completely furnished with beds, closets, tabe with chairs. Parking place in the underground garage included in price. 2 tram stops or 6 minutes by car to Manufaktura. Within easy reach are parks, shops, market Lidl. Easy access to the city center by bus or tram.